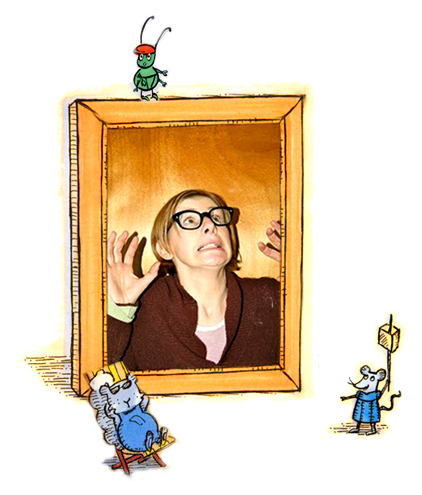 Fiona Robinson is an author and illustrator of books for children. Originally from the north of England she now lives in Brooklyn, New York. She has been praised by Publishers Weekly for her “humor tinged with heart,” and her work has been honored by the Royal Academy of Arts in London. Her favorite things include drawing, reading, drinking tea and telling her stories to children. She doesn’t like loud noises or clapping and often reads newspapers and magazines back to front. When she was in elementary school her teachers called her Little Leonardo, and she’s forever thankful for their support and that of her fabulous family in England too.